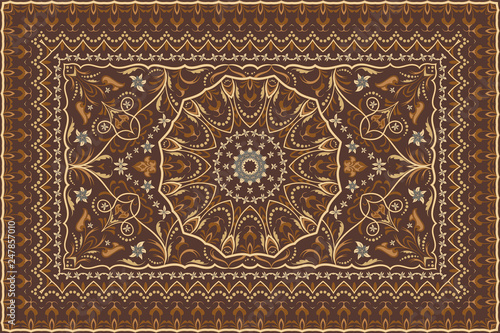 Vintage Arabic pattern. Persian colored carpet. Rich ornament for fabric design, handmade, interior decoration, textiles. Brown background.